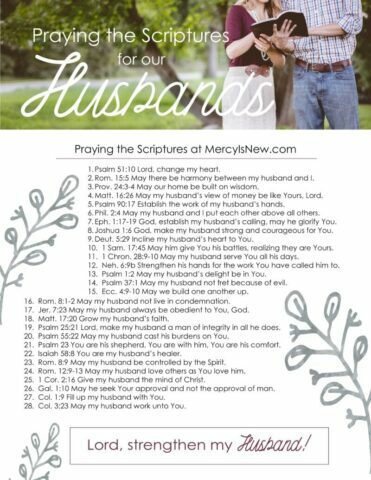 For the month of February, we are going to pray verses for our husbands and our marriages! I hope you’ll join me in making prayer for our marriages a priority! 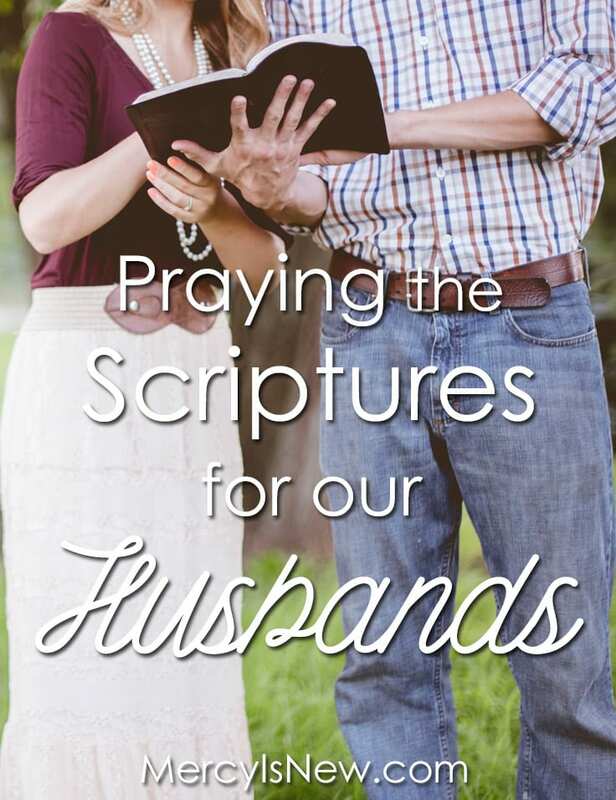 Each day you can look up this verse, and join me in praying over this theme for our husbands. 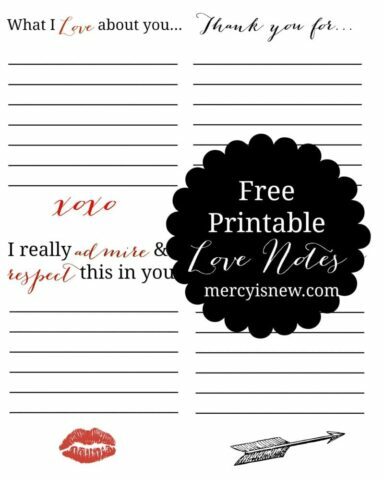 You can personalize these prayers and these verses according to your own marriage! I know God is going to do amazing things in our hearts as we make prayer for our husbands a priority! When you subscribe to my blog you will receive Quick Start to Praying Scriptures for FREE! 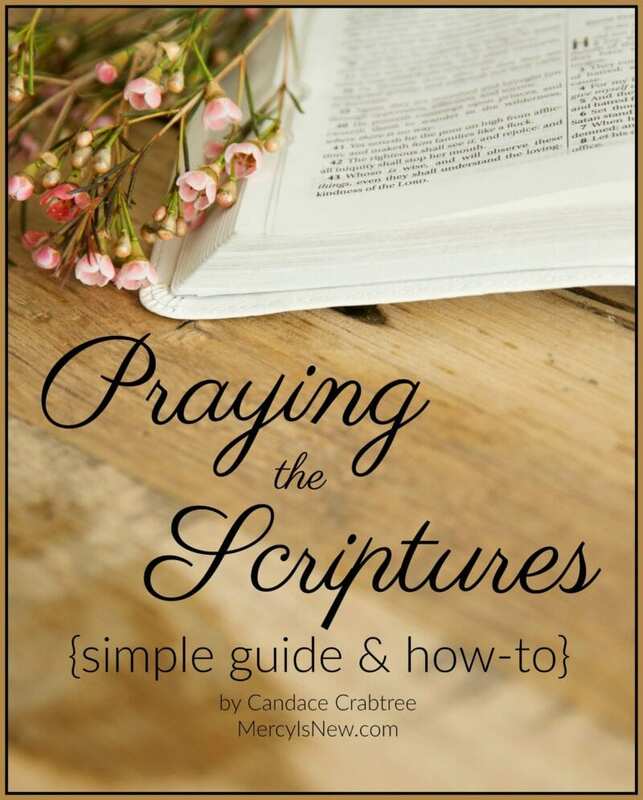 A short ebook that will help you learn WHY and HOW to pray God’s Word plus pretty Scripture printables! You will also receive 30 Days of Praying the Psalms!